Evolve Seattle Body piercing is a high end jewelry store and piercing studio founded by John Durante and his partner Jessica Rimmer in 2012. 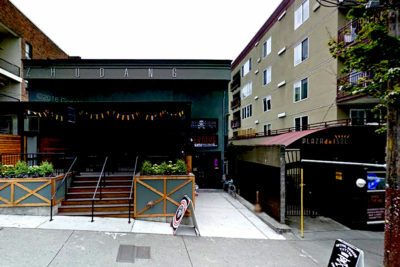 We are located in Seattle, WA in the Capitol Hill neighborhood. Along with our jewelry company (Evolve Body Jewelry), our company is owned and run by some of the most experienced professional piercers in the world. With their experience both here and traveling the world, we strive to bring you the highest quality handcrafted body jewelry available in our rapidly expanding industry. We are the flagship store our sister company, Evolve Body Jewelry, while also showcasing jewelry from other high end companies including but not limited to Anatometal, Body Vision Los Angeles, Maria Tash, Glasswear Studios, Diablo Organics, and many more!